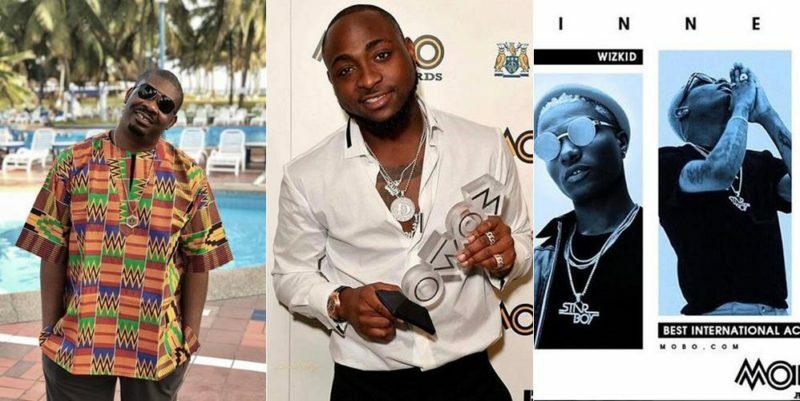 After Wizkid and Davido win big at the MOBO Award held yesterday many celebrities and top politician in the country has congratulated them. 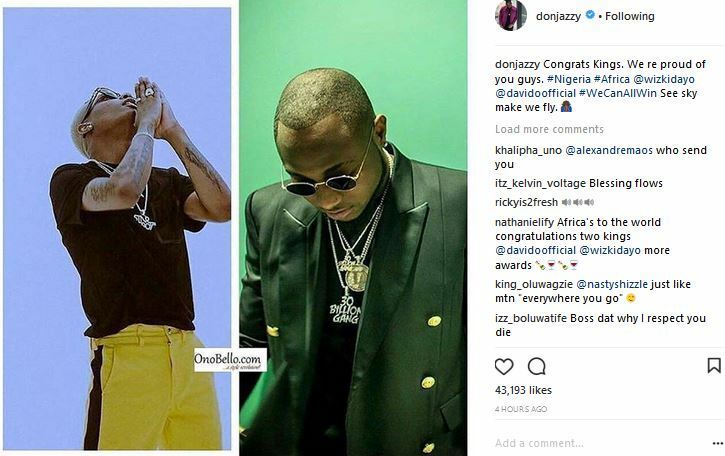 Mavin Boss, Don Jazzy has also sent congratulatory message to both artist via his instagram page. Banky W also called them that their is enough space in the sky for them shining together, Don Jazzy called them Kings and said they could both win together and congratulate them.